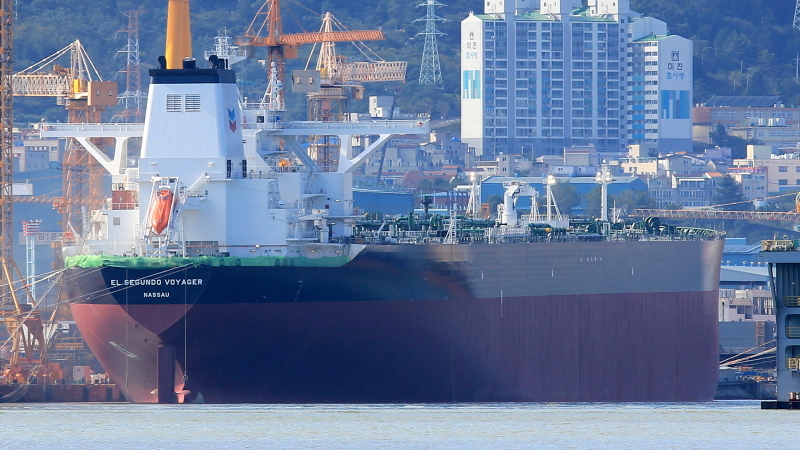 New VLCC tanker for Maran Tankers, intended to be on long T/C to Chevron, fitting out at Daewoo shipyard. Thanks for the correction, Phil. Also confirmed now by vesselsvalue.com. This is IMO 9827695 / DSME Hull 5442. IMO 9827700 is the next vessel in the series, hull 5443.